Sensei Kevin Goodman is the chief instructor for G.I.F.T. Martial Arts karate club in North London. He has practiced martial arts for over 12 years, but in 2003 decided that he wanted to give more dedication and time to the art of Karate and his own self development in martial arts. He trained and taught full-time for a local karate club in South London, during which time, he was able to explore the deeper realms of martial arts with a view to developing and creating his own path. He has been training in the art of Traditional Okinawan Goju Ryu, mainly because of the traditional path that this style has chosen to follow throughout the years. Throughout his time in training, he found that many styles are often adapted to suit individual organisations, but he preferred to train in an art form which remained traditional and as true to the original format as possible. 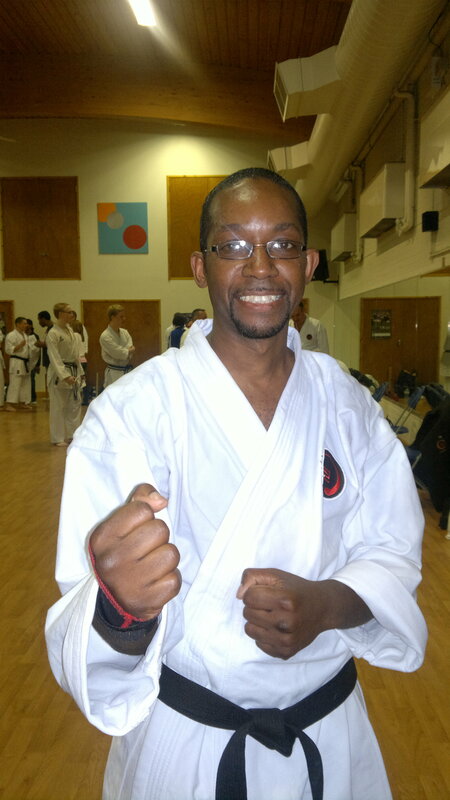 In 2006, Sensei Kevin formed ‘GIFT Martial Arts UK’. The aim of this organisation was to provide specialised training for people with special needs. GIFT now works alongside the Disability Martial Arts Association enabling martial arts training to all that wish to partake in this traditional art form. Sensei Kevin says “Karate for me is a way of life. A life long journey of the discovery of ones’ self, both physical and mental. I first started karate to improve my balance, fitness and the opportunity to learn an art form which has been practised for hundreds of years. I was not warned of all of the other benefits I would receive through my training! Confidence, focus, heightened awareness, Japanese language just to name a few! For those unsure of starting up karate lessons I say this, as daunting and as nerve-wracking as it may seem, classes are fun and very enlightening. You will learn a lot about yourself as well as a lot about karate and exercising muscles you never knew you had! The hardest part as a complete beginner is stepping into the dojo for the first time, standing in line with the other students. After those two, the rest history! I have had the pleasure of teaching karate over the last 7 years and also have had pleasure in watching the transformation of those I have taught in this time. Students have ranged from pre—school children to teenagers to middle aged adults. I currently teach within schools and have a specialised program for students with special needs. I also run a number of all inclusive evening classes which cater for both mainstream and special needs. I believe that martial arts should be available to ALL regardless of disability, learning difficulty, etc. because I see martial arts as personal journey and each and every person who trains in the art is creating their own personal story. We all have our own level of learning ability and we can all gain some degree of worthwhile skill from martial arts training. The karate we teach is traditional, with its foundation being in the Okinawa Goju Ryu style of karate which was founded by Master Chojun Miyagi in the 18th century. I believe that karate should be a fun experience for all ages from 4 to 40 and beyond! ". 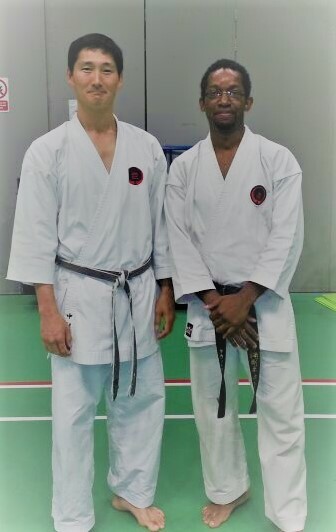 Sensei Kevin is Sandan (##3rd Dan) in Okinawan Goju Ryu Karate-do and Shodan grade in Disability Martial Arts instruction. We also run after school clubs within north London and are available across other counties for these in-school and/or after school activities. Kevin currently offers private tuition. Please contact us for further details.